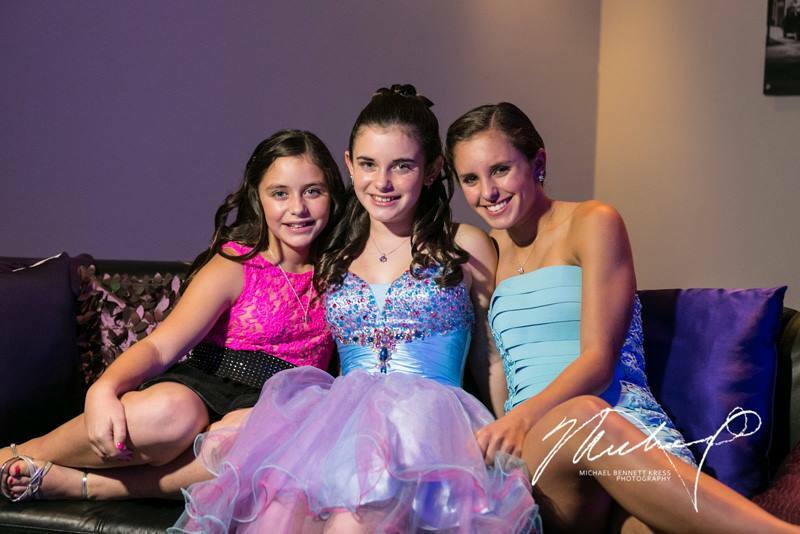 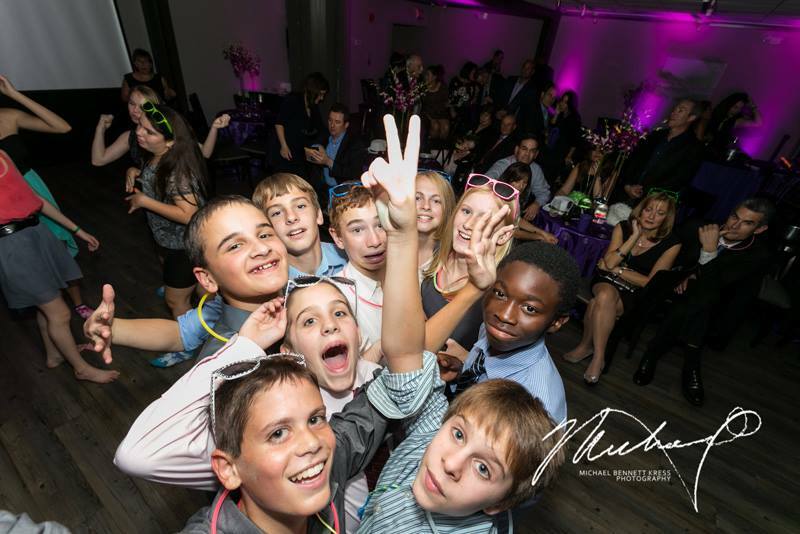 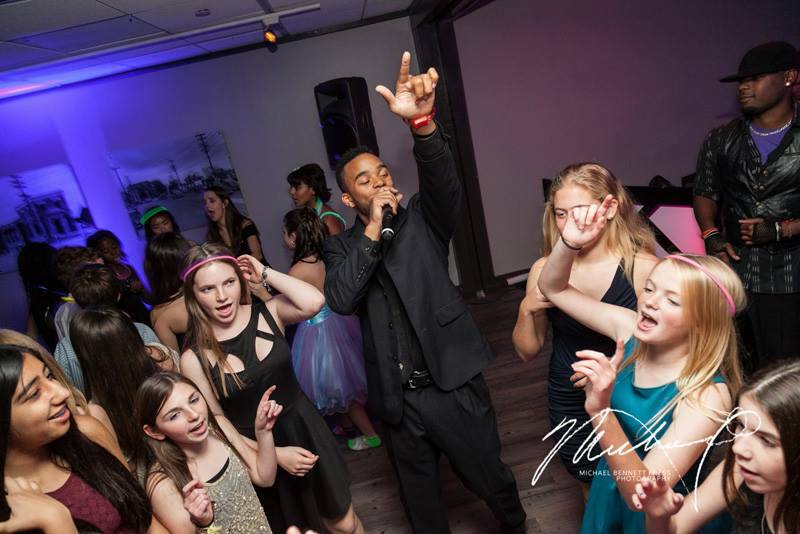 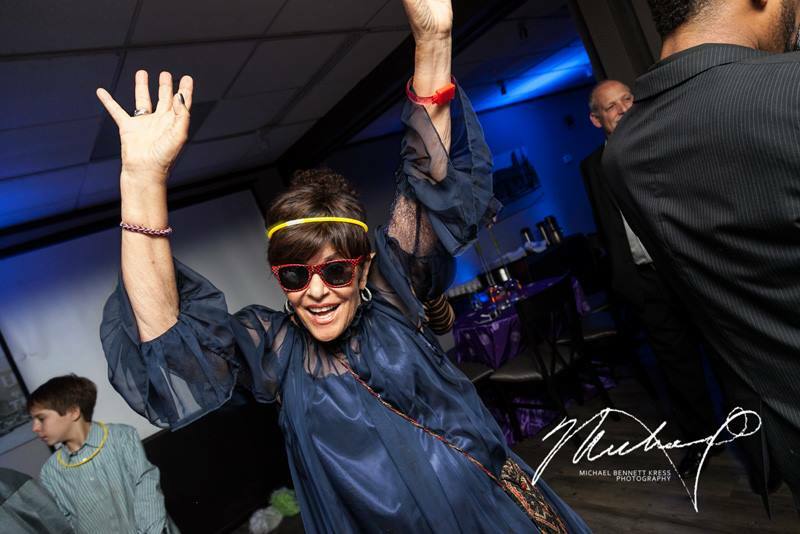 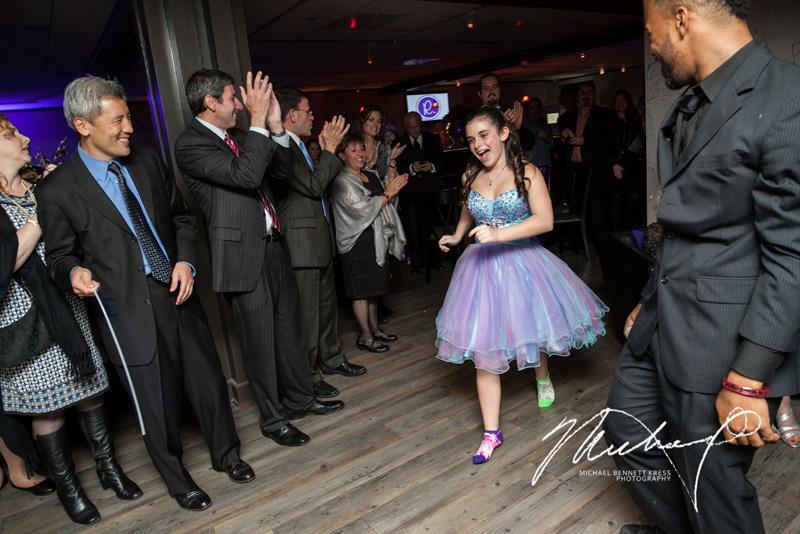 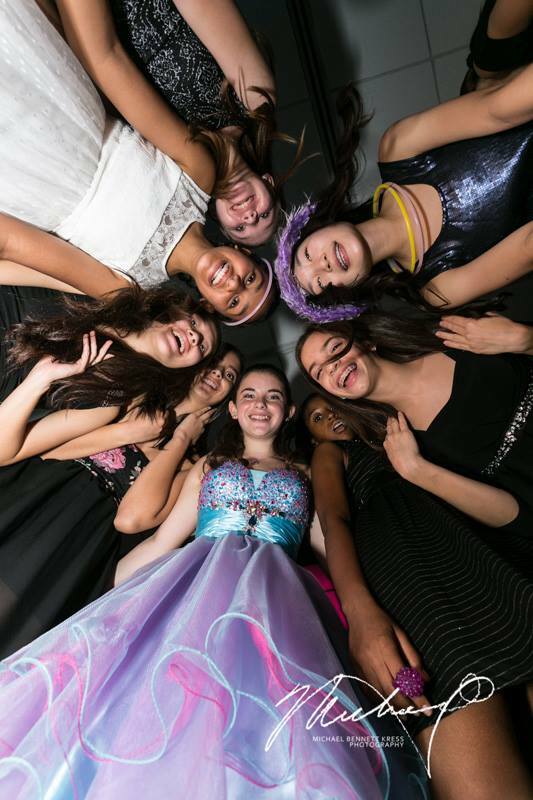 Rebecca held her Bat Mitzvah at the brand new 4935 Bar & Kitchen (formerly Tragara Restaurante) in Bethesda, MD and Electric Entertainment was along for the ride! 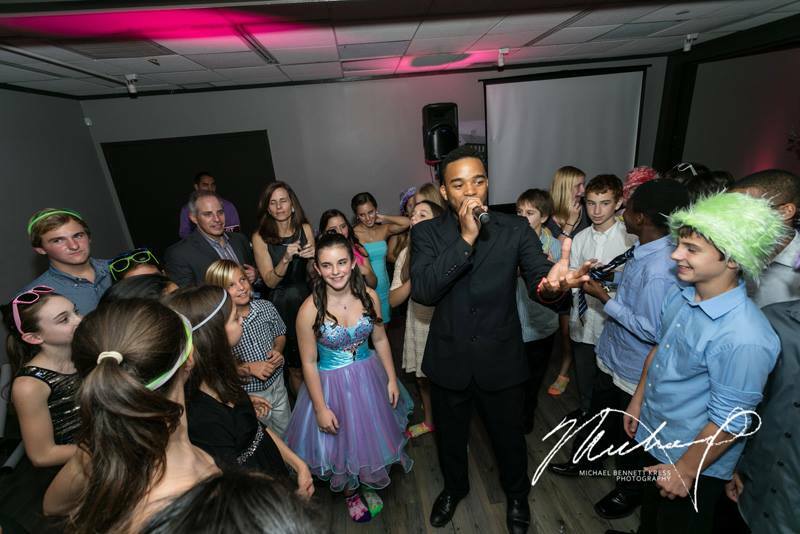 MC Marcus and DJ Ghost (Nicholas Suarez) were accompanied by dancers Deangelo and Paige. 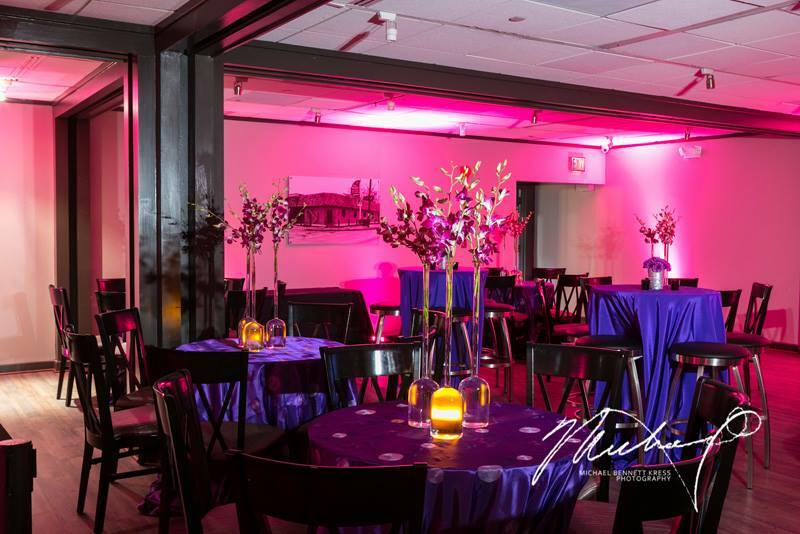 The purple theme was carried out through the table decor, uplighting around the perimeter of the room, and Rebecca's beautiful dress. 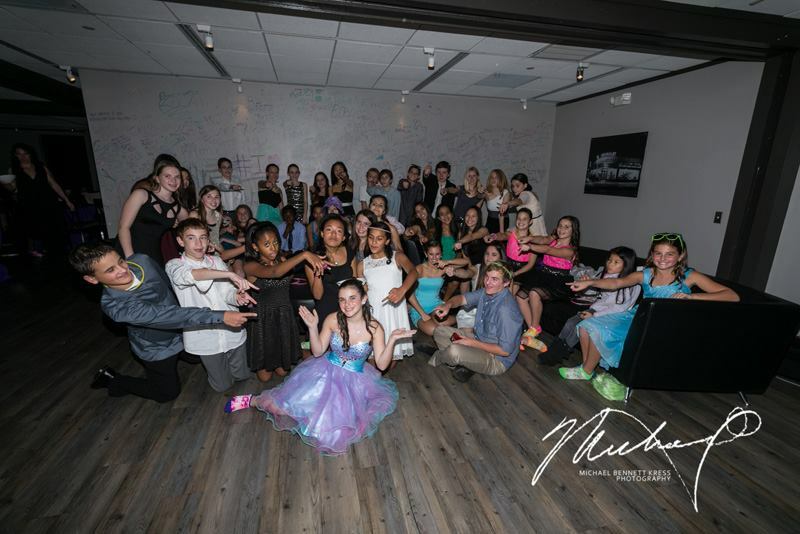 While the adults mingled downstairs during the cocktail hour ... the kids were upstairs playing games and writing notes - on the restaurant wall - to Rebecca. 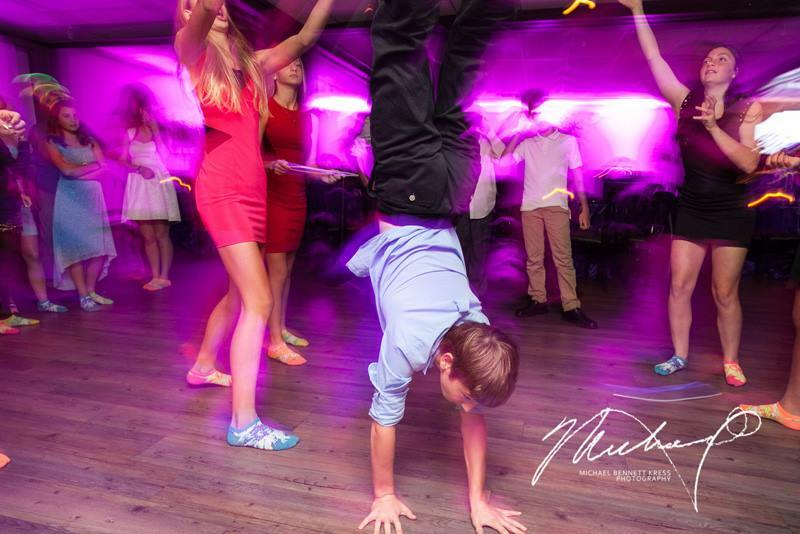 Take a look at the photographs done by Michael Bennett Kress.